The Smithsonian Institution is hosting a summer multi-media camp for high school students in the DC Metropolitan Area with cognitive/intellectual disabilities. The Smithsonian Institution invites 20 High School students with cognitive/intellectual disabilities to participate in a 2 week day camp. During this camp, students will explore the Smithsonian Museums and document their experiences, using digital cameras and videos. Student participants will then use computers to compile collected their digital images and share their findings on social networks such as Facebook and Twitter, with their camp peers and friends. In addition, the students will learn about the museums, collecting digital images, compiling the images, using computers and connecting with Social Media programs. For a downloadable flier click here. The Camp will take place Weekdays, August 8 -19, 2011 at the Hirshhorn Museum and Sculpture Garden Art Lab Located at Independence Ave. at 7th Street, SW, Washington, DC from 10:00 am – 3:00 pm. This project is administered jointly by Smithsonian Center for Education and Museum Studies and the Smithsonian Accessibility Program. This project is made possible by funds from the Pearson Foundation. The Museums for Us project booklet is now finished and can be download here. We’d love to hear your feedback! Last weekend, I got together with Deion and Michelle to reflect on the visit to the National Air and Space Museum… here are some of the thoughts we shared. Touch, the Simulator and using cartoons to interpret the Museum’s collections all came out on top. I like the rockets and the leaning backwards and forwards (the simulator). Captain Planet went to the moon, so did Tom and Jerry. H: What were the best bits of the trip from your perspective? M: The best parts of the trip were the simulators and exhibits he could walk through and explore. Deion is a visual learner. He likes to move around and observe. H: How do you like to use museums with Deion? M: I take pleasure in teaching Deion through exploration. As a parent you have to supplement your child’s education. You can’t depend on the school to do it all. Deion enjoys new experiences. He enjoys browsing through the bookstores. He brought home a book on volcanoes and weather. This is a strong indication that he likes science. 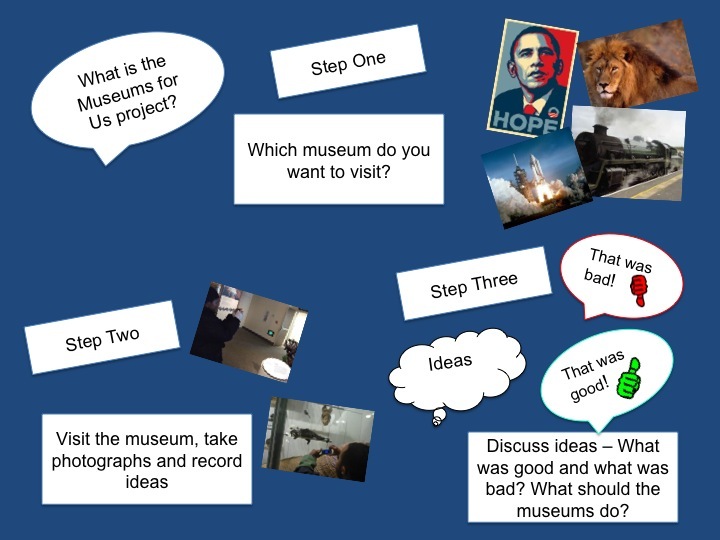 H: What could be done to make the experience of visiting the museum better for you both? M: We discussed quiet rooms and McDonald’s is a draw. I googled and found http://exs.exploratorium.edu/exhibit-categories/smell-taste-touch/. Exhibits that engage the senses would also be a memorable experience. The National Zoo is one of Deion’s favorite places to visit. He loves animals. He likes to watch videos (the birth of a baby elephant) and the interactive panel where you push a button and can hear the variations in roars of the lions noting their moods. H: Would you like to come to special events aimed at people on the autism spectrum (e.g. early opening, exhibitions which included chill out spaces)? M: Yes! I would be interested. It is a matter of preference. Some would like to be with the general public. I’d rather be in an environment where we could be perfectly comfortable with no stares and comments. It will take the general public some time to understand the behaviors of children on the spectrum. H: What do you think the barriers for families with children with learning difficulties attending museums? M: The crowds, waiting in long lines, children not understanding what they hear or see and sensory issues are barriers. H: How do you think museums should advertise to reach more families with children with intellectual difficulties? M: The museums could advertise with the schools. Children could take the information home in their back packs. Public Service announcements on radio, TV and the internet would also be good. The hospitals and clinics that serve children with special needs would also be a resource. Reflecting on the visit to the National Air and Space Museum, what came across very clearly was that Deion came to the museum with all sorts of contexts for understanding space – and a lot of these came from his favourite cartoons. This made for a great discussion about the visit – as Deion told the stories about Captain Planet and the Planeteers saving the Earth, the time Tom and Jerry went to the moon and Courage the Cowardly Dog riding a meteor. This strongly shows that we all come to museums with lots of knowledges, ideas and contexts already in place. These are sometimes called personal meaning maps. One suggestion Michelle made was that cartoons might be used more in displays. We discussed whether the reason Deion likes cartoons was because of the drawings themselves or the fact that cartoons have characters and stories. The emphasis Deion was placing on the characters and stories suggest the latter is true… so if approaches were taken to use cartoons it would make sense for there to be a consistent approach across the museum and for films to be made using cartoon stories to explore key interpretative points. Deion did love the simulator and remembered it clearly. He specifically said he liked the leaning backwards and forwards and remembered that the film was about planes. This made me think a bit about the way museums manage simulators. Often they are seen as a business opportunity and they are often run by an external company. Obviously care is taken to find a relevant subject (the history of flight in the case of Deion and Michelle’s visit) but the sheer impact of the simulators makes a more direct tie in to a specific museum’s collections something worth exploring. Basically, the experience of working on this project suggests that museums should not think of the simulators as an ‘add on’…. rather they are likely to be one of the key memories of the visit. And this will be true for all sorts of visitors. One of ideas Michelle shared when we met was that photographs of the museum and its exhibitions should be available before the visit. She said this would be useful so that she could talk through with Deion what to expect and to revisit the exhibits afterwards. While the idea of more formal ‘social stories’ for people on the autism spectrum – a technique used to help prepare people for new experiences – are also being explored by another family in the project, the idea of just making pictures available is a relatively easy and cheap thing for museums to do. So while the virtual reality pre-visit resources idea suggest by the Georgetown University Consumer Council may be out of reach for all museums, taking photographs and making exhibit maps available on the web is a great first step. Thanks so much to both Michelle and Deion for being part of the Museums for Us project. 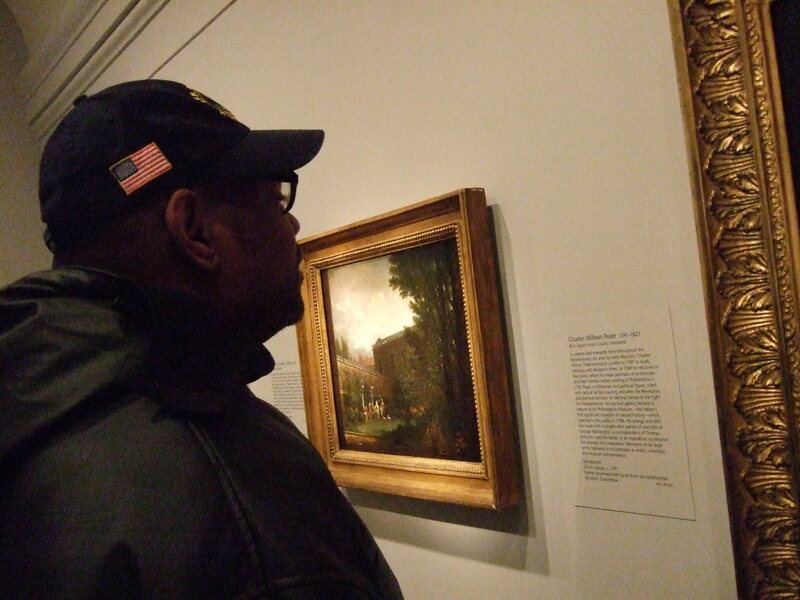 Steven Powe reflects on his visit to the National Portrait Gallery and the Amercian Art Museum. He likes to go to museums on his own to see the sculptures and to take photographs and sees this interest as a springboard to a future career where he might either work in a museum or be a photographer. I thought the trip was fine, even thought it was cold that day. When I saw the sculptures, it made me wonder if I could do sculpture. I know I can draw. I used to do ceramics in 1978 because I got a medal for it from the Kennedy Institute (a D.C. school). They couldn’t give me the thing I made because it too heavy but they gave me a first place medal instead. I liked the sculptures and the food and drink. They have a good cafeteria in here. Sometimes I just come to the café, just for a treat. You shouldn’t be afraid to spend money at the museum because you’re not going to go every day. There are so many things to see and do, that you won’t be able to see everything. Not in one day. I will come back. I didn’t get to see everything. I liked the Elvis display and Rockwell. To make it better, they could give discounts on the food to people with disabilities. The exhibition couldn’t be better, they are great. The Smithsonian is so good it makes me think about working for the Smithsonian. There’s nothing that would stop me coming. I like museums. Air and Space is a good museum so you wouldn’t mind paying, but some of the others have to be free because they are not as good. I’ve been going to the Smithsonian for a long time. They changed things around here, it’s nice they’ve made it bigger. I was about 22 when I first came to the museum. When I came the first time, I just looked at the sculptures and then I looked at the pictures. They didn’t have much Security when I went here the first time. The guards were nice – that’s important. Security doesn’t put me off. I have always felt welcome. Security might stop other people. That puts people off, not being able to take pictures. My friends and family don’t always come, they don’t have time because they are working. Taken by Steven. 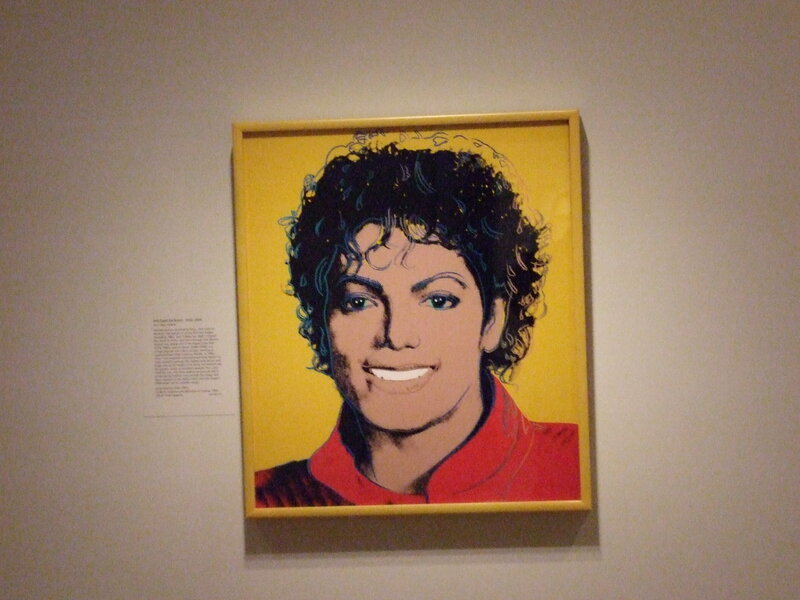 Portrait of Michael Jackson. I come to the Smithsonian because I’m training to take pictures, it part of the work I’m doing at New Vision. I hope I might get a job in photography. I like the Folklife Festival. I like the food and the entertainment. If I could do an exhibition, I’d do an exhibition in the Sculpture Garden. And I’d make the American Indian Museum have more art. They should have more sculptures. The way the pictures are displayed with labels is good for people that read but not good for people who can’t. But at least they can enjoy the pictures and maybe someone can read the label to them. I’ve never been on a tour in the museum. But I’m not sure I’d want to go on a tour because you have stay with the group. It’s more fun by yourself. On your own you can take as many pictures as you want. The Georgetown University University Center for Excellence in Developmental Disabilities invited the Museums for Us project to attend its Consumer Advisory Council meeting yesterday. After introducing the project and the ideas suggested so far, I then took the opportunity to tap into the fantastic expertise of the Council’s self advocates, parent advocates, professionals and researchers. Lots of very useful and inspiring ideas and opinions were shared but a key theme was a sense of being welcomed and that you – and your way of being in the world – was understood and accepted both by staff and by other members of the public. 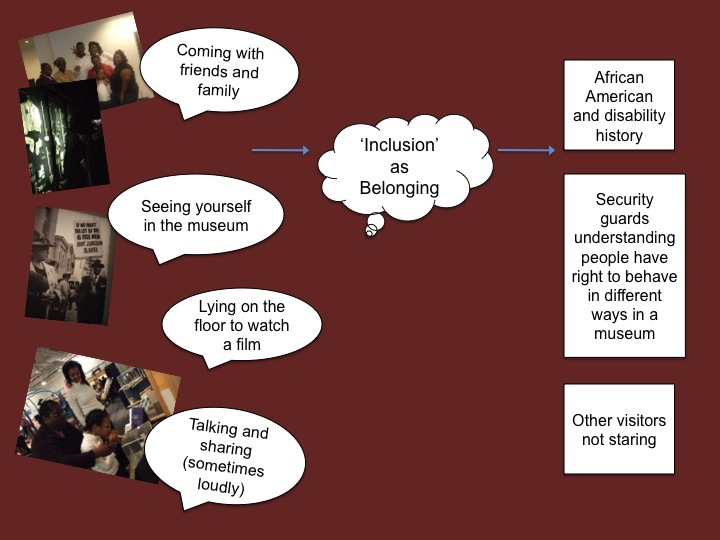 Nothing is less accessible or inclusive than being asked to leave the exhibition or the museum! Some museums were thought to already be very welcoming of noise and interaction. 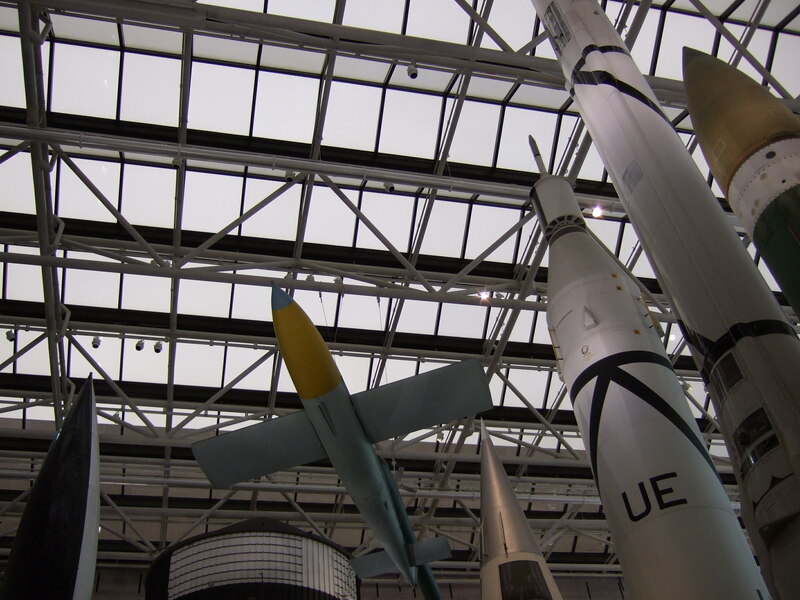 The National Air and Space Museum was given as an example of a museum where no-one worries too much and you don’t feel like Security is going to intervene. However, a more welcoming understanding of the multiple ways people interact in the world was thought to be essential in museums which have traditionally been more exclusive, such as art museums. Staff training was mentioned by a number of people. As was the importance of exposure: that museum workers get to meet people with intellectual disabilities and that people with intellectual disabilities get used to being in, and interacting in, lots of different situations. We discussed the issue of special tours aimed at people with intellectual disabilities. One of the self advocates in the room strongly argued against this and instead argued that tours should be pitched at a language level and at a speed which works for as many people as possible. It was noted that this might also work for people who have English as an additional language. We went on to discuss this as a ‘universal design’ approach. This would mean that rather than creating special tours for people with intellectual disabilities, differentiation would be better introduced through offering a standard inclusive tour but then with extra options for more in-depth tours. I shared with the Council one of the findings of the project so far – that the Smithsonian’s simulators are not at all an ‘add on’. They are rather one of the experiences which are remembered most – and perhaps act as a key to rest of the visit. Taken by Steven. 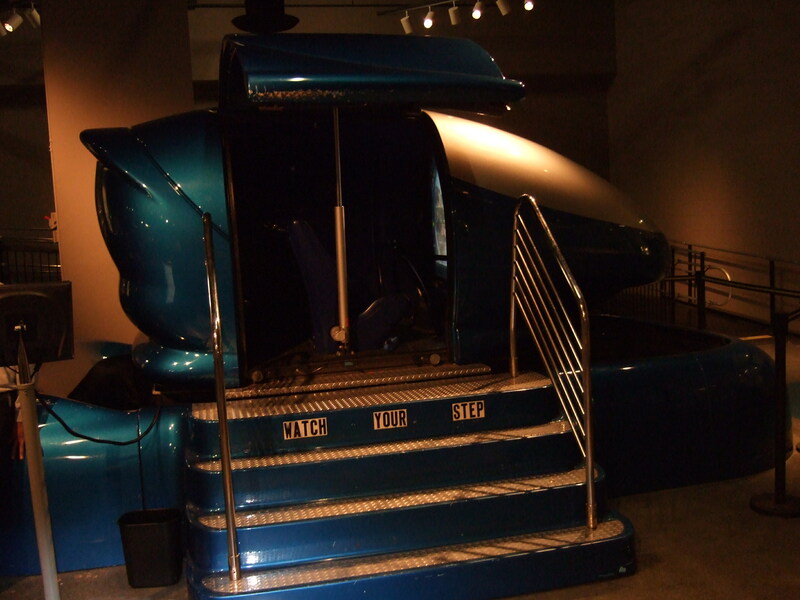 A simultator ride at the National Museum of American History. The Council responded strongly to this and suggested the possibility of deploying more virtual reality approaches. This could work in the displays themselves but one of the Council members also suggested that this could tie into pre-visit recourses. One of the ideas that is emerging is the importance of museums offering ‘social stories’ to help prepare people on the autism spectrum for the visit. 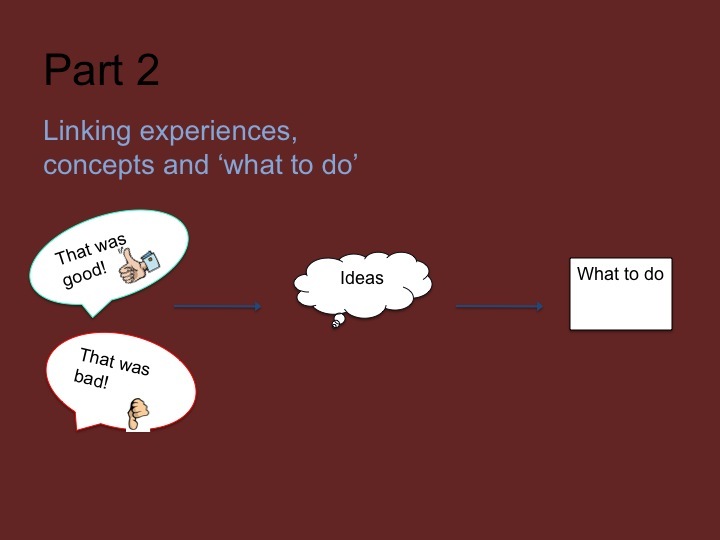 We discussed that the social story approach could well deploy online opportunities so that people could practice navigating the exhibition virtually and even use a pre-visit website to help practice with interactive interfaces. Building in calmer, quieter alcoves into exhibitions was also thought to be helpful for visitors on the autism spectrum. Finally, get people involved. One of the Council members suggested getting families involved in sharing plans for the exhibitions and in developing aspects of the display. 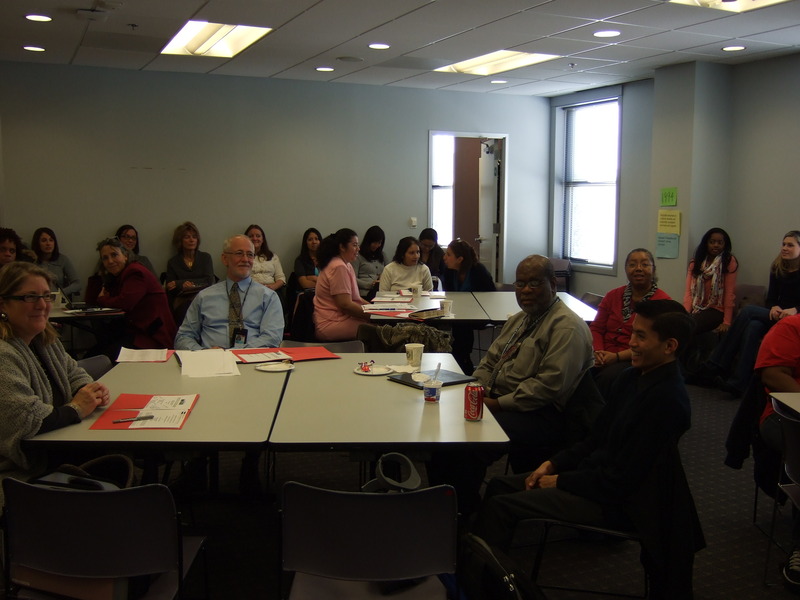 She suggest that this might be especially useful for reaching out to D.C.’s Spanish-speaking community and that individuals and groups might be interested in getting involved in developing appropriately-pitched Spanish language resources. Thanks to you all – and do keep the conversation going by posting below! Taken by Deion. Looking up at the National Air and Space Museum. Last weekend, Deion and Michelle Hawkins went on their research visit to the National Air and Space Museum with Museums for Us co-researcher Helen Graham. The trip included a ride in one of the museum’s simulators. I liked the rocket ship in the sky and the one we rode in where we tipped (motions backwards and forwards). We had our trip to the Air and Space Museum with Helen on Saturday. Deion enjoyed himself. Helen gave him a camera to take pictures and we rode on a ride that simulated various eras and types of planes. He really enjoyed that. Deion has autism and is very distractable. The space museum has a lot of visual and audio stimulation. I would like to see the pictures he took and how he responds to them at our meeting in January. He told me he wanted to tell his teacher about his trip to the museum when he gets back to school from his winter break. What immediately struck me about the visit to Air and Space with Deion and Michelle was the way Michelle enabled Deion to take the lead. He explored the museum spaces, stopping when things caught his eye. When something did catch his eye Michelle often followed it up, asking questions or creating links to other things Deion has done or is currently studying. Occasionally, Michelle would more actively draw Deion’s attention to a particular exhibit – for example, an exhibit of astronaut clothes. This really confirms the idea that as visitors we engage with museums through our already existing ‘meaning maps’ – what we already know about and are interested in. A word (from cultural theorist Lawrence Grossberg) that keeps coming to mind when I think about the way things ‘catch your eye’ is ‘intensity’. This ‘being caught’ by something in the display creates a moment where concentration becomes more focused, where all your body and mind is engaged and where there is some kind of an emotional pull. No question the things which excited Deion most were the big impact objects/interactives – e.g. a rocket, opportunities to explore inside (in one of the shuttles or a plane cockpit) and the simulator ride. As above, he mentioned both the rocket and the ride as the best things about the visit immediately afterwards. Both were the moments when all of him seemed to be engaged and focused. As Michelle says we’ll be meeting in January to look at the photographs taken by Deion – it will be really interesting to explore how the kinds of moments of engagement during and immediately after the visit relate to memories of the visit. As Michelle has already suggested in an earlier post, this in-the-moment experience raises questions about the kinds of post-visit – and pre-visit – resources museums might make available to support anticipation, reflection and consolidation. I think the kind of visit Deion and Michelle made also suggests the value of the free museum – the sense that you can explore in your own time. That everything doesn’t need to be absorbed at once. That you can visit and then come back again another day.